WizeFloor - What is WizeFloor? The projection size on the floor can be up to 3x2 meters. 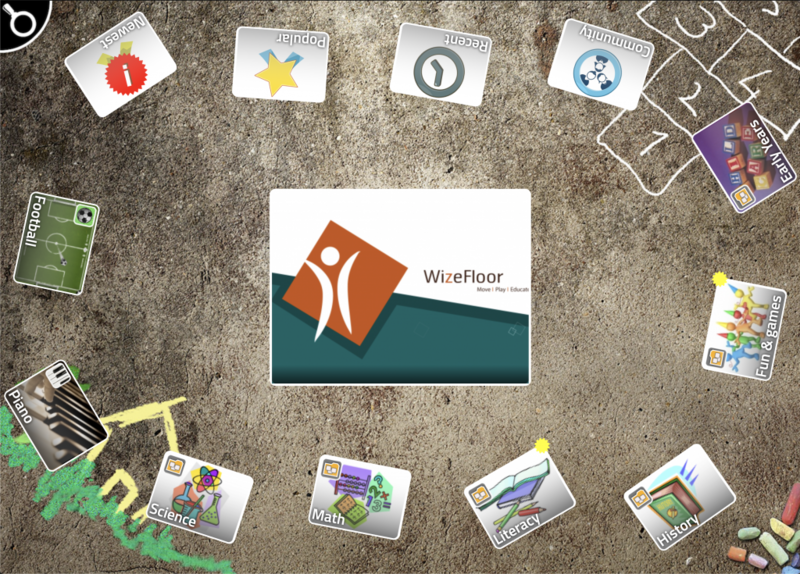 WizeFloor comes with a software package with a wide range of activities including quizzes, memory, balloons and categorisation games. These are designed in such a way that they stimulate interactivity, cooperation and inclusion for all the children using the floor. Exercises can be created with your own pictures, sounds and videos by use of any mobile device or computer. Thousands of exercises for all subjects and levels are already available through the WizeFloor community. The software is regularly updated with new apps and features. The WizeFloor GO is a brand new product which allows you to set up WizeFloor activities at location of your choice. It encourages physical movement, play and collaboration and comes with a wide range of different learning activities. If you want to know more about WizeFloor GO please contact us. The software is available in Light, Standard and Premium versions with access to different selections of apps and server space. When purchased the license will include either 1, 3 or 5 years of cloud subscription and support. After the initial period has expired the subscription can be renewed, otherwise it will change to a free subscription with less server space and no access to the community.